Opaque red vinyl. Hear ye, hear ye! Roll up, roll up! Welcome to Wheeltappers and Shunters! After an unprecedented seven year break, Clinic, Liverpool’s cherished post-punk pop experimentalists return with album number eight. The unusual name is taken from the long-forgotten 1970s ITV variety show The Wheeltappers and Shunters Social Club, compered by Bernard Manning, which recreated the smoky, boozy atmosphere of Northern working men's clubs for a sofa-bound audience. The album was recorded last year in founding band member Hartley's Liverpool studio, before they brought in Dilip Harris (King Krule, Sons Of Kemet, Mount Kimbie) to mix it. Fun, sure, but this is Clinic – their brand of fun oozes with menace. The Great Britain that Clinic are evoking is not that ancient, bucolic past of village green cricket, half a mild and hanky-waving Morris Dancers that many seem so determined that the country should return to, but a rather more sleazy past. Clinic’s reverie is for a time when Blackpool was the pleasure capital of the kingdom and the public was kept entertained by travelling circuses and the dirty glamour of the funfair; tacky end of the pier merriment and enforced fun at Butlins; when bell-ringing town criers bellowed their nonsensical broadsides into the ether. For most bands about to enter their third decade as an entity the well would be running dry, but eight albums in and Clinic still retain the ability to surprise. 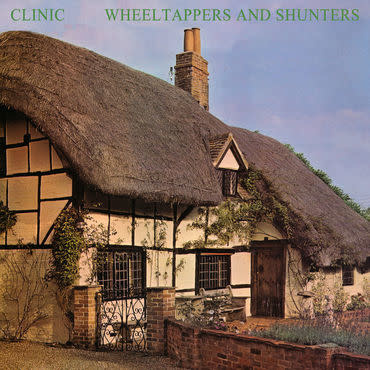 Clocking in at just over 28 minutes, Wheeltappers and Shunters is an absolute blast, rich in detail and sonic intrigue, those precious minutes stuffed with ideas.